The facilities and services offered by the City of Fremantle to support people with disability will be showcased during Disability Awareness Week this week. Today is the 2018 International Day of People with Disability, with the theme of ‘empowering persons with disabilities and ensuring inclusiveness and equality’. The City’s Access and Inclusion Officer Rachael Funch said it was important to highlight the challenges faced by people with disability in their everyday lives. “One in five people in Australia, almost 4 million people, have a disability and this proportion is increasing with an ageing population,” Ms Funch said. “People with disability purchase consumer goods, have jobs, go on holidays, access information and contribute to society in the same way that people without disability do. “The only difference is that often people with disability come up against significant barriers while trying to do the things that many of us take for granted. The City of Fremantle’s Disability Awareness Week events started on the weekend with a Disabled Surfers Association of Australia 'Let’s Go Surfing' event at Leighton Beach. 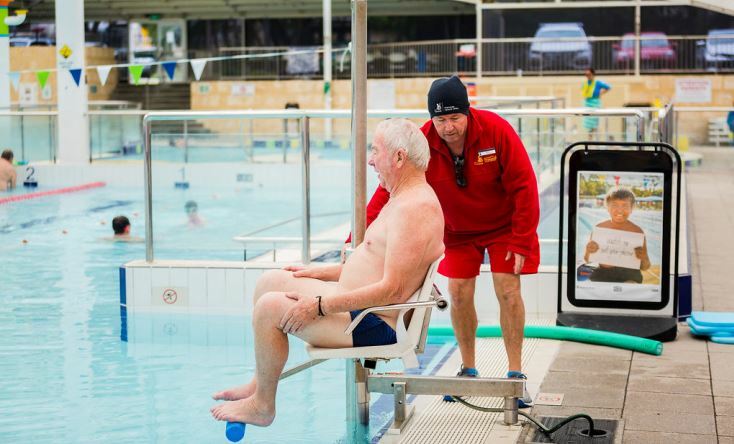 Tomorrow afternoon there will be a tour highlighting all the accessibility features at the Fremantle Leisure Centre, which include a mobile chair hoist for all pools, a changing place, disabled toilets and ACROD parking. The tour will be followed by a free swim and afternoon tea. On Thursday morning the City will join with Fishability to host a ‘come and try’ fishing session at the Fremantle Sailing Club. Fishability is a not for profit association formed in 2003 that delivers programs and activities designed to enable people with disability experience the joy of fishing. The week will conclude on Friday with Dance for Parkinson’s classes at DADAA in the Old Boys School on Adelaide Street. For more information visit the Access and Inclusion page of the City of Fremantle website. Music in this video by AShamaluevMusic.